Children need specialized dental care because there are unique challenges to caring for and treating teeth and gums that are constantly growing and developing. There are also unique challenges to providing dental care to children because they’re not always able to be patient and cooperative during a procedure. 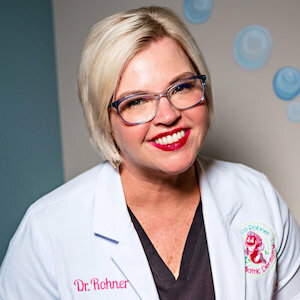 But as a specially trained pediatric dentist, Dr. Rohner knows how to best examine and treat children to ensure that they are comfortable, happy, and motivated to take good care of their teeth. In addition, we use specially designed pediatric dental equipment in a kid friendly environment. Pediatric dental care is an essential building block of a long and healthy life. From your child’s first tooth, through childhood, adolescence and beyond, we can help you ensure that have everything they need to maintain a bright and healthy smile for life.